3 July 2013 – Grab your Greeting!! 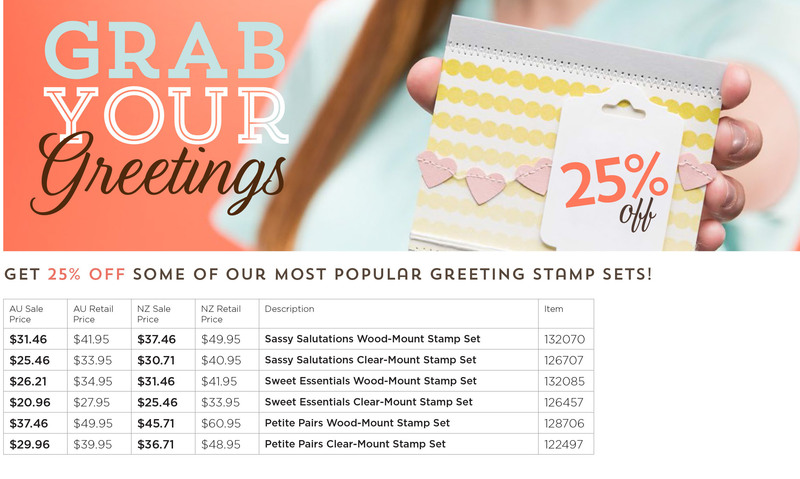 For the month of July, grab 25% of these stamp sets!! To purchase these sets during July, just click on my Shop Now Button to go to my on-line store. Or send me an email at stampinwithrebecca@yahoo.com.au or phone 0408 193 792. « 2 July 2013 – The New Catty has arrived!! !